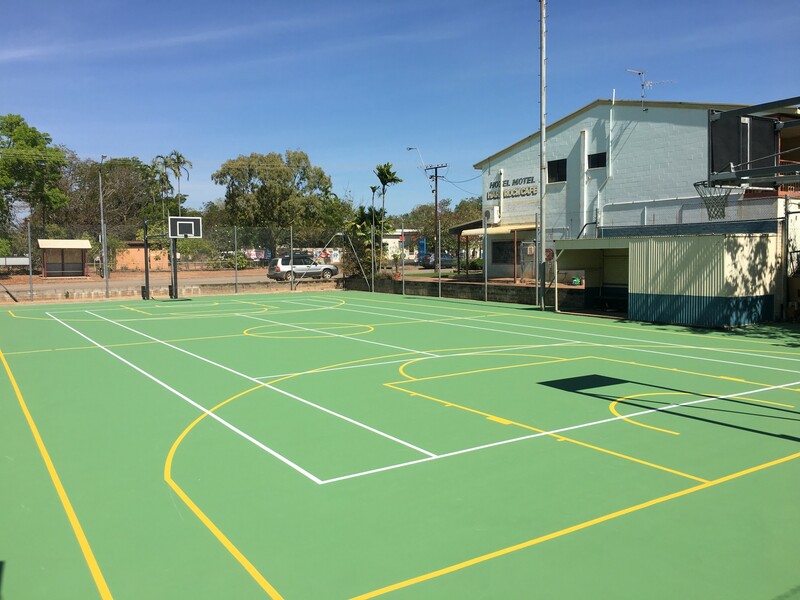 Re-surface Pine Creek sports courts. 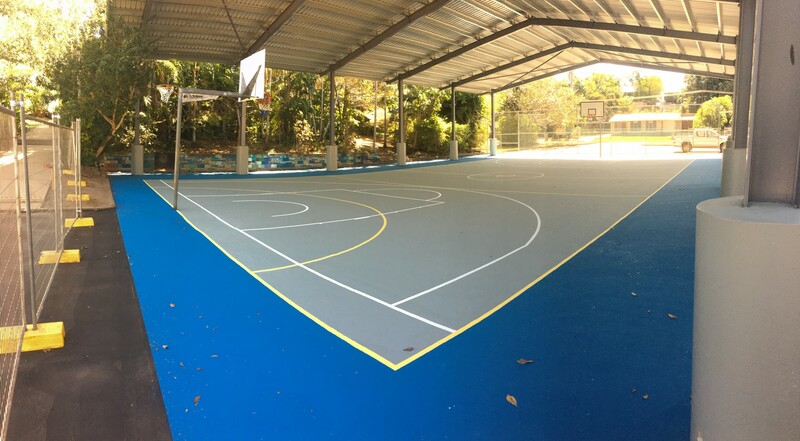 Re-surface basketball and volleyball court and installation of synthetic turf. 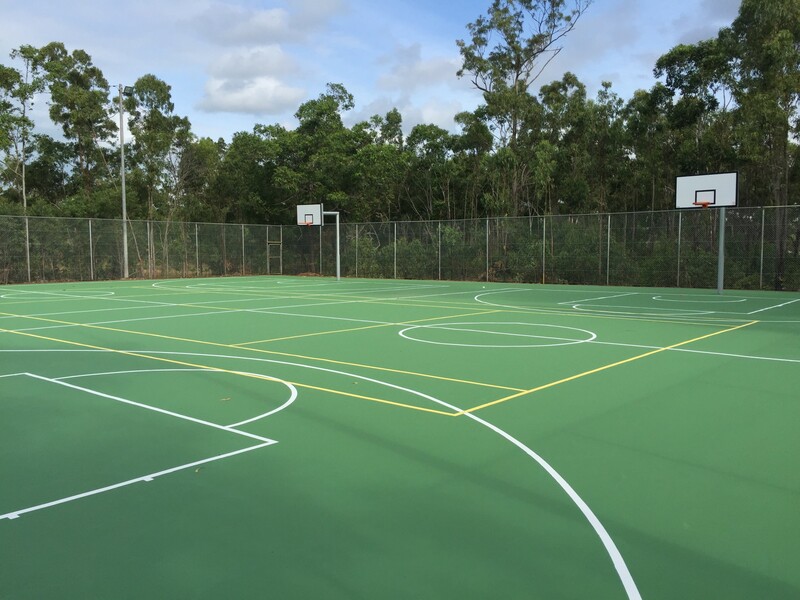 Installation of synthetic turf, concrete paths and Rosehill TPV® rubberised softfall. 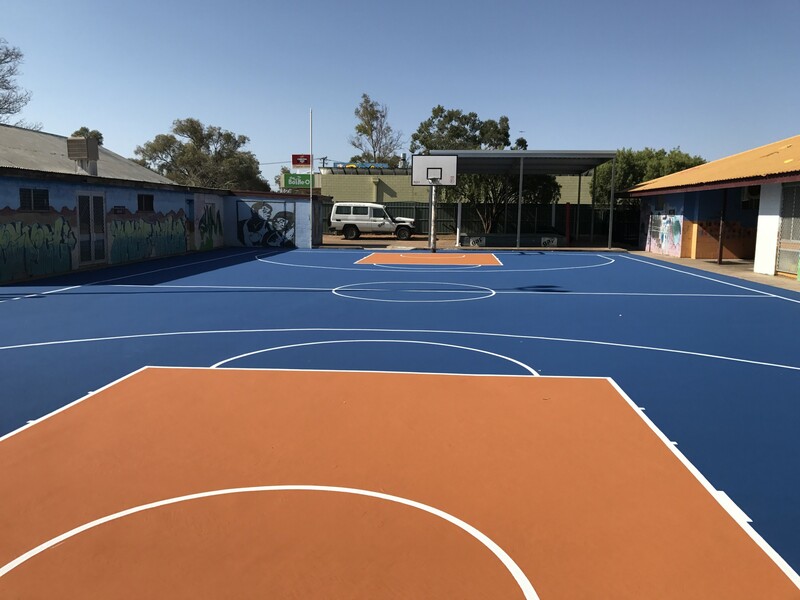 Surface tennis and basketball courts, and installation of tennis nets, tennis posts and back boards for the basketball courts. 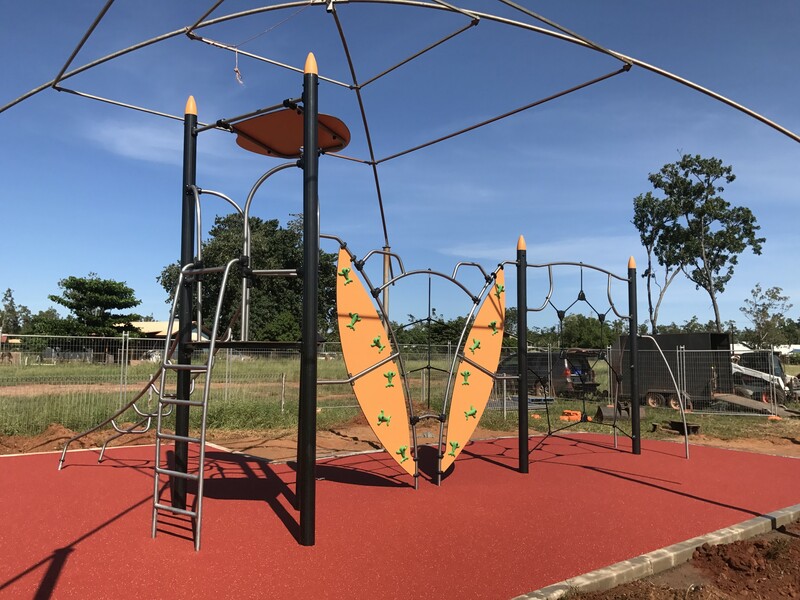 Installation of playground equipment, Rosehill TPV® rubberised softfall, and kerbing. 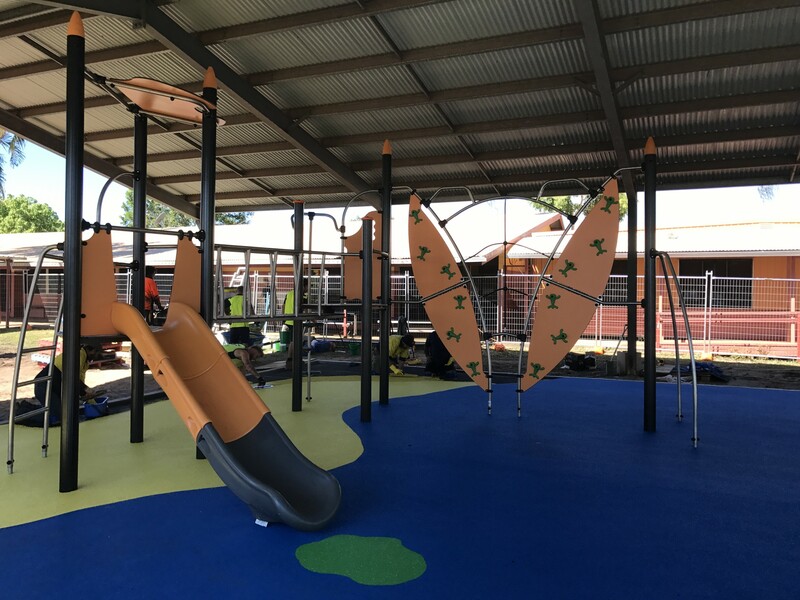 Installation of playground equipment, and Rosehill TVP® rubberised softfall. 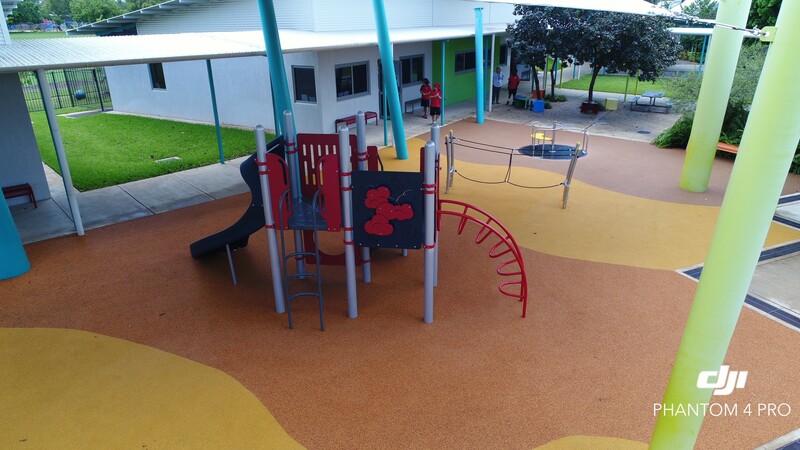 Installation of Playground equipment, Rosehill TVP® rubberised softfall and kerbing.